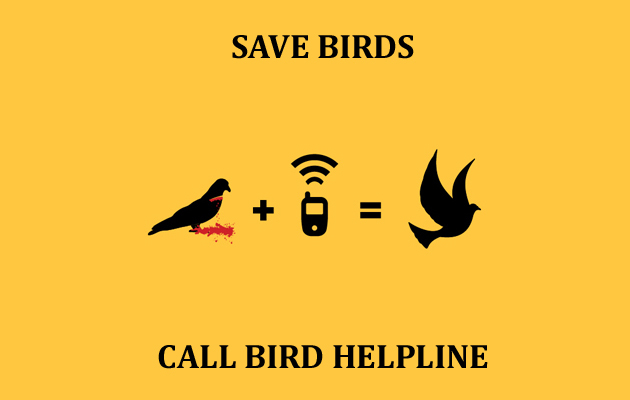 All of us would agree, that a bird flying in the sky is much more beautiful than when captured and kept in a cage. 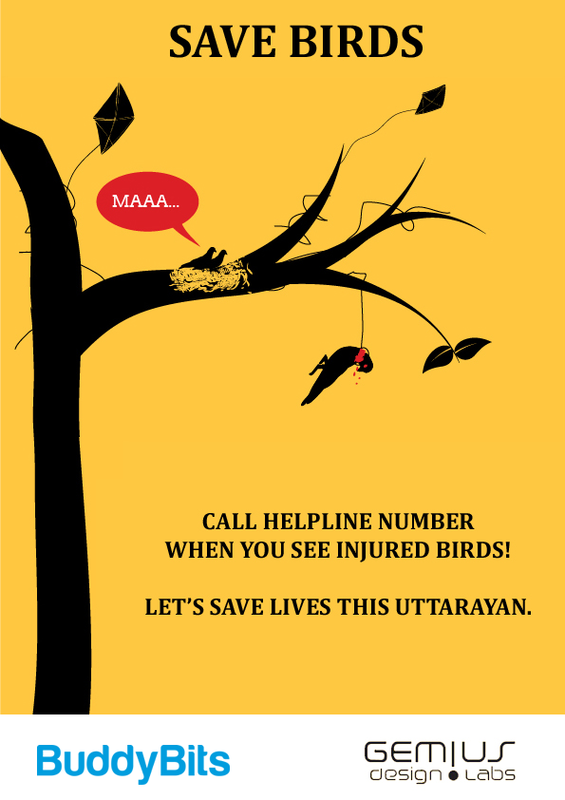 Yet, when we indulge in Uttarayan festivities, we shamelessly forget all about the innocent beauty of the birds flying in the sky. 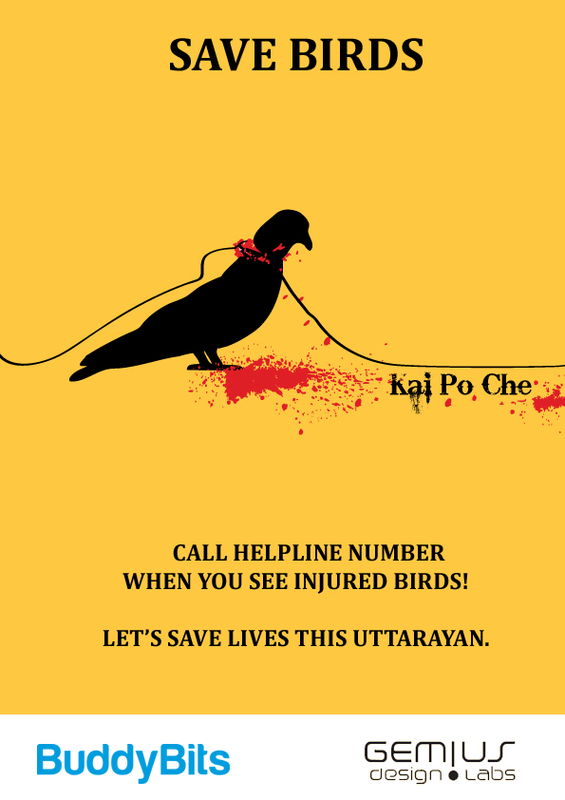 Every year, in the name of tradition, hundreds of birds are killed or injured as a result of the Kite Festival in India. Our actions are both shocking and shameful and it’s time we do something for those who cannot speak. 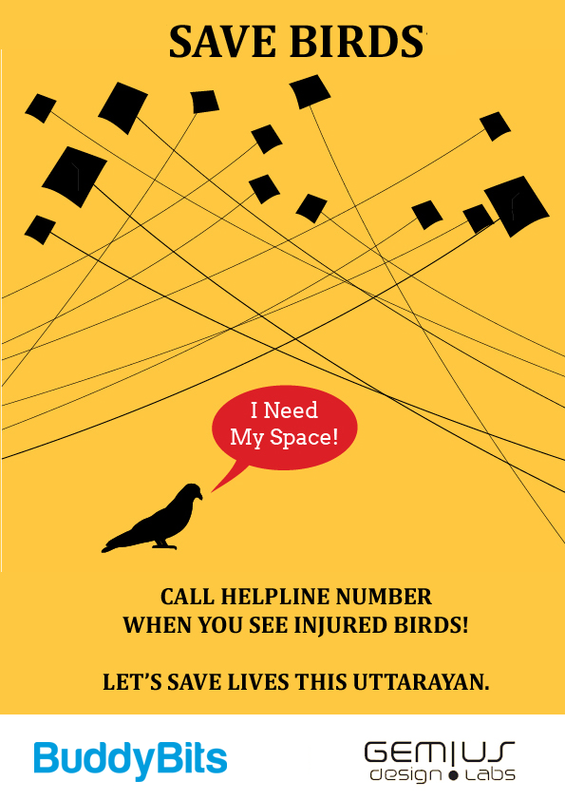 This Uttarayan, join BuddyBits in our endeavour to save birds. 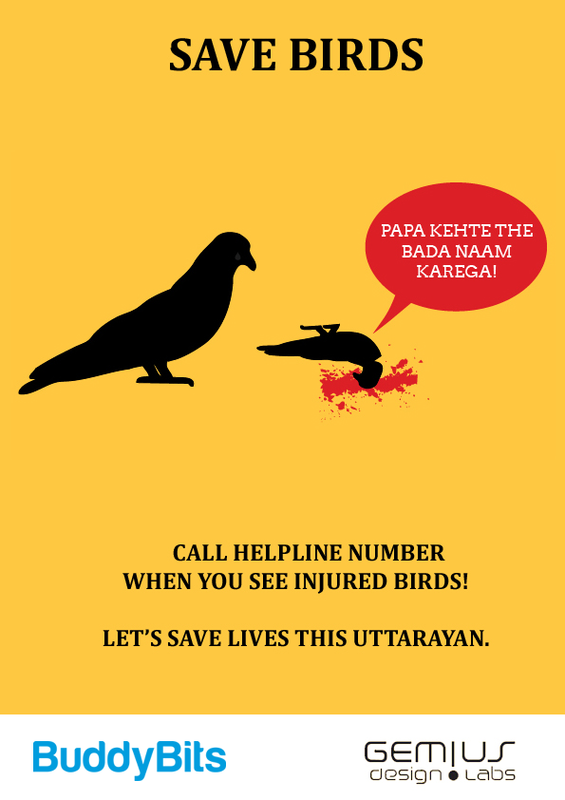 Call on helpline numbers of your city given below when you see injured birds around you. 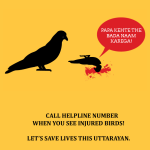 Let’s save lives this Uttarayan. Spread awareness. Download posters and share with your friends and family. But the Kites that you are looking at today, will surely exist tomorrow. 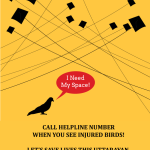 A Bird or a Kite? A Paper or a Life? Will you like if I disturb you? Destroying the pretty bird’s nest? Please get influenced by this endeavour of writing a poem to create awareness. 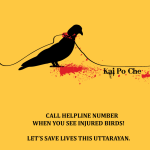 How bad will the festival feel if we change the way it is celebrated; not only by flying Kites but also by killing birds. 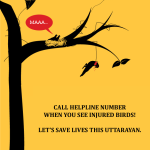 Let humans celebrate this festival with joy and make this a festival for birds as well. All birds and humans will enjoy together! मीठा खाओ और मीठा बोलो !